In which the story opens itself to new perspectives, and the Josei is suddenly very glad to be an only child. Some episodes these posts tear out of me like I’m being possessed by the Patron Saint of Critical Analysis, and other days I stare at the keyboard wondering what to say. This week was more of the latter, I think because Kozue’s tale is an odd paradox of straightforwardness and complexity, so that I can’t decide if my commentary is going to be incredibly obvious or just flat-out wrong. This is both the strength of the Black Rose Saga and the difficulty in blogging about it, as the arc is almost entirely a sequence of character studies with little in the way of developing plot or action. And character studies are tricky things, particularly in a show this dedicated to multi-layered individuals and psychological depth and—most importantly—the contradictions inherent within human beings. Which is as good a place to begin as any, I suppose. As the Black Rose promised, this is the arc for those “not chosen,” focusing on characters who were mentioned or referenced in the first cour but whose perspectives we never saw. In “The Sunlit Garden” two-parter we met Miki and learned about his quest for his “shining thing”—a desire to recreate or replace the nostalgia-tinted memories of the times he spent playing the piano with his sister, safe in the walled garden of their childhood. 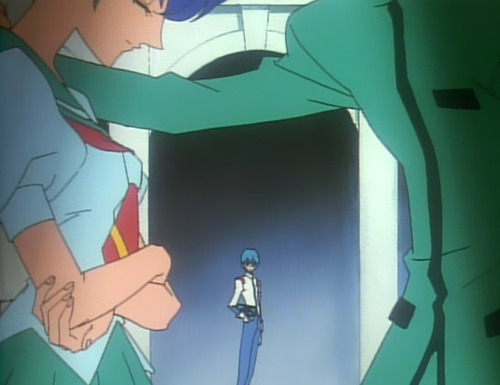 We saw just enough of Kozue during those episodes to understand that the thing Miki believed he had lost (or “destroyed with his own hands”) had never really existed in the first place, but we knew little about her or her feelings toward her brother. Enter this week’s episode, and the sister in danger of being left behind. As I said a couple paragraphs ago, discussing Kozue’s story is difficult because it’s full of contradictions and depends largely on perspective, making it both fairly simple (a sister acts out so her brother won’t abandon her entirely) and riddled with complexities (the faultiness of memory, the question of what it means to “protect” someone, the paradox of both wanting attention from someone but not wanting to reveal that “weakness” to them). Take, for instance, Kozue’s handling of the music teacher. The guy is depicted as a massive creeper pretty much from his first appearance: the camera lingers on the way his hand finds first Miki’s shoulder and then his back, steering him along in a way that is uncomfortably sensual. 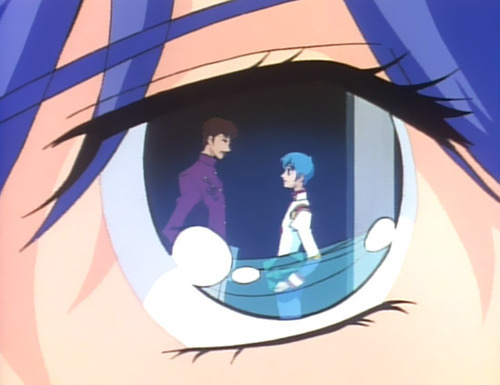 But as the word fuukei (風景; “scenery” or “landscape”) in the episode title suggests, the entire scene is “framed by Kozue,”—that is, by her own perceptions and prejudices, and we quickly discover that anyone who threatens to turn her brother’s attention away from her is perceived as a danger and a threat. In contrast, Miki is unperturbed by the man and Jury (playing the dispassionate observer again) refrains from offering any opinion one way or the other, which doesn’t tell us anything concrete either. So is Kozue a behind-the-scenes defender, protecting her distant brother from his own naivety, or is she a possessive, obsessed child lashing out at anyone who threatens her own version of the “sunlit garden” in memory? While Miki is struggling to find his shining thing by throwing his past onto a future relationship, Kozue has determined that the way to find happiness is by holding the elements of her past into stasis. At the same time, though, she distances herself from showing that need: despite claiming that she [doesn’t] like milkshakes anymore they’re the central item in her duel, and despite avoiding Miki she wants nothing more than his love and attention. So we end up with even more dualities, both within a single character and between two characters: the brother and sister yearning for the “same” time and place which they remember in wildly different ways, chasing memories and nostalgia that (based on the other’s view) never quite existed. One responds by shutting the other out and searching for a replacement; the other responds by acting out and pushing away all possible replacements. There is clearly some kind of mutual affection and concern still here, but it’s so muddled in self-centered perspective—or perspectives, really—that it’s difficult to see how they’ll ever manage to understand one another. “If it cannot break its egg’s shell, the chick will die without being born! The chamber of freedom and the cage of freedom. Without revealing the vastness of the sky, both care for the chick. Bringing back that idea of “repetition with variation,” this forms something of a second movement for the Student Council, taking a familiar refrain and building on it, suggesting forward (but incomplete) progress. We’re also seeing a different kind of threat for the “chick” this time around, for while the “shell” was a natural hurdle the chick had to overcome in order to exist in the world, the “cage” is a man-made one, allowing the chick to live but only within a certain bounded area. Both shells and cages are not inherently evil things, as they provide protection from outside threats during times in the chick’s life when it is vulnerable. But to stay inside the shell is to die; to stay inside the cage is to live a limited life, forever controlled by outside forces and unable to see anything beyond the bars. Thus, eventually, the cage has to go, too. Touga said “we are the chick; the world is our egg.” So what does that make the cage? The school grounds, perhaps, or the influence of adults, or simply the limitations of our own experience when we’re young and unable to see or understand anything beyond our small worlds. Childhood is not unlike a chick in a cage—it can be a very nice cage and very helpful in giving us a safe space to grow and learn, but at a certain point we need to open the door and leave, otherwise we’ll never see any new horizons, never know the sky or what it means to spread our wings. So not only are our duelists working to escape their cages, but the series is as well, busting open the door on traditional narratives and showing the depth that exists in everyone, regardless of their distance from the central plot. Of course, for all that talk of smashing cages, the StuCo seems content to sit, safe on their balcony, and wait for someone to come along and tell them what to do next. Nanami takes over because Miki and Jury don’t care enough to argue, but they’re by no means united (as the oscillating fan on the table shows), and in many ways are simply spinning their (pin)wheels at the moment because “they’ve received no letters from End of the World.” The duels are on hold, and so too are our main characters’ stories. Or so it seems, at least. As Vrai notes, the pinwheels can serve a second purpose, as “we have literal winds of change going on in the background” (Episode 15). 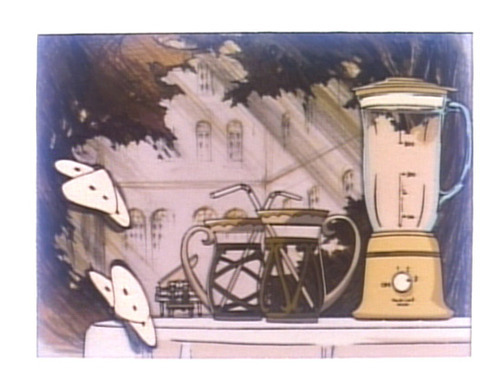 If Utena is a story told in three acts, and the first act was a sort of origin story or—to use the symbolism slapped across Mikage’s elevator wall—the embryo becoming a caterpillar, then it strikes me that this second act is a kind of pupa period, where nothing appears to be happening but in fact great change is occurring just beneath the surface. It’s a time of motionlessness and fragility (someone could just come along and smash your chrysalis or, you know, rip a sword out of your chest), a time fraught with danger but vital for the next stage in life. And indeed I do think we see some quiet forward progress for both Miki and Kozue by the end of this episode, as he crosses the gap he’s created between them (to kiss her on the forehead) and she reveals her own desire for that gap to be crossed (by requesting a milkshake). This is a deeply dysfunctional family situation, no question, but there may be some positivity to take out of this ordeal, even if it’s so gradual and private as to be almost unnoticeable by the rest of the world. 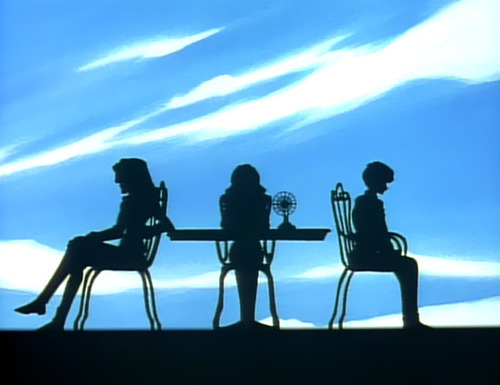 We get one brief scene of Touga this week, listening to a symphony recording. Classical music aficionados out there will recognize it as the Largo movement from Dvořák’s No. 9 symphony, popularly known as “The New World Symphony” or “From the New World.” Listeners of folk or gospel music may know it as William Arms Fisher’s “Goin’ Home,” a song that took the music from the Largo movement and put it to lyrics which drew heavily on traditional spirituals. And those of us who have been to Japan or are just big ol’ nerds will recognize it as a piece of music (titled “Ieji” [家路]—“The Road Home”) that gets played all over the place, such as to signal the closing of a store, that pedestrians can cross an intersection, or even to call farmers in from the fields. 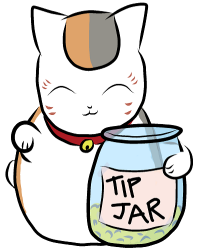 Perhaps its most notable use is in the terrific SF anime series From the New World (“Shin Sekai Yori”), where it was used to signal sunset and call everyone back to their homes. It’s a clever piece to use here, as it evokes Touga’s desire to revolutionize the world (thus creating a, ah-hem, new one) while also pointing to a longing to return to somewhere—a home, a childhood, a time perceived as more peaceful or simplistic. For all that our student council president remains silent and unresponsive this week, the musical choice gives us a tiny peek into his psyche, and he appears nearly as torn between the past and the future—between a vanishing childhood and an approaching adulthood—as the other members of the cast. 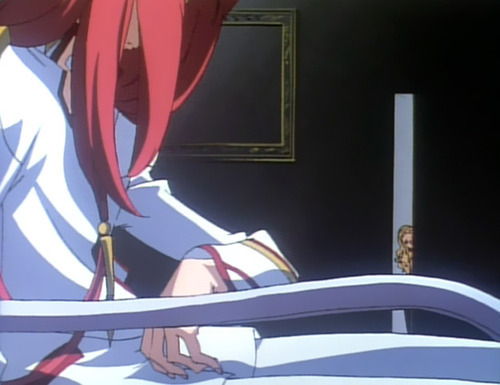 Or he’s just trying to signal to Nanami that he’s closed up shop and she needs to get the hell out of his room. That’s possible, too.